It’s about time I updated the blog with my thoughts on the new Jester hop and my Jester IPA recipe. 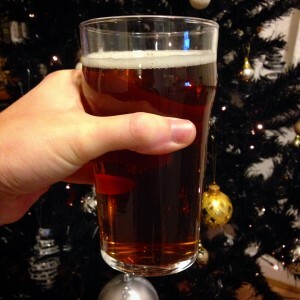 For a recap, have a look at my recipe and process post on brewing a Jester IPA. I you want to get straight to the part where I actually drink this beer click here. So I left you with the beer fermenting in my new temperature controlled fridge at a cool 16 degrees Celsius. Once fermentation was nearly complete the next step was to dry hop the beer. This is the process of adding hops directly to the fermentation vessel. Dry hopping gives a beer lots of lovely aroma and some flavour without adding any further bitterness, giving your beer that hoppy burst when you take off the bottle cap. I thought I’d try something different to my usual dry hopping technique of just tipping whole leaf hops into the fermenter, instead I whizzed up the 60 grams of Jester hops in a food processor first in an attempt to get them to release more flavour into the beer. 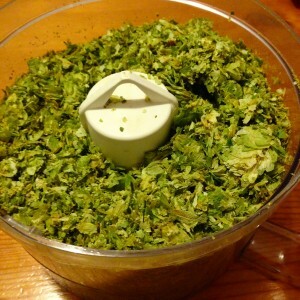 Word of warning – my food processor now has a green ring of hop resin inside it that cannot be shifted. My next batch of coleslaw is going to taste funky! Into the fermenter the whole lot went. Ummmm, yeasty hoppy slurry. The reality of where your beer comes from. The hops were left to do their magic over the next 3 days, before I set the fridge to chill the whole lot down to 5 degrees Celsius. I held it at this temperature for another 3 days before bottling. This helped to get the majority of the hops to sink to the bottom of the fermenter and left quite a clear looking beer behind. Interestingly the beer smelt very unusual at this stage, perhaps slightly plasticky. I was a little concerned that something had gone awry and that I’d introduced some bacteria and infected the batch. Fortunately, all was well. So what do Jester hops taste like? After two weeks conditioning in the bottle, I cautiously lifted the cap and was very pleased to find the unusual aroma had completely gone, instead I was now getting a very difficult to describe peach/fruit salad aroma. The beer had conditioned nicely, becoming a big flavoursome and aromatic IPA. Everyone who has tried this beer has said something different. I definitely got a peachy creaminess when the beer was young, that seems to have settled into a sort of, strawberries and cream taste. I’ve heard the word mango used a lot and I can definitely get that too. To me, these hops don’t taste like anything else I’ve tried – I think I would be able to detect them in a blind taste test, they really are quite distinctive in a similar way to New Zealand’s Nelson Sauvin hops. Not that they taste alike, just equally unique. With regards to bittering characteristics of this hop I can’t really comment, since I also added some German Perle hops for this purpose. I’d be interested to make a true single hop beer with Jester, in order to see what sort of bitterness it gives (I’d just need to order two bags next time). Any beer that you’d like to add some prominent fruitiness to would benefit from this hop. I would probably be careful what other varieties I mixed it with as it could clash. I think used subtly, it could work incredibly well in a Hefeweizen as a refreshing summer drink. I’d really like to try another IPA with this though, bringing in some other carefully chosen British hop varieties that would complement it and using English ale yeast. I think this is a great hop and yes it does live up to the hype. UK craft breweries should be getting behind this hop variety instead of importing hops that we’re now all very used to. Get behind the British hop industry and make some noise! Jester hops are currently only available to homebrewers from Stocks Farm. Thanks for reading. Have you brewed with Jester hops yet? Please let me know your thoughts and experiences on this great new hop. 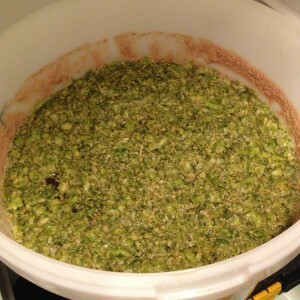 This entry was posted in Homebrewing and tagged beer, homebrewing, hops, jester hops by Andy Limn. Bookmark the permalink.